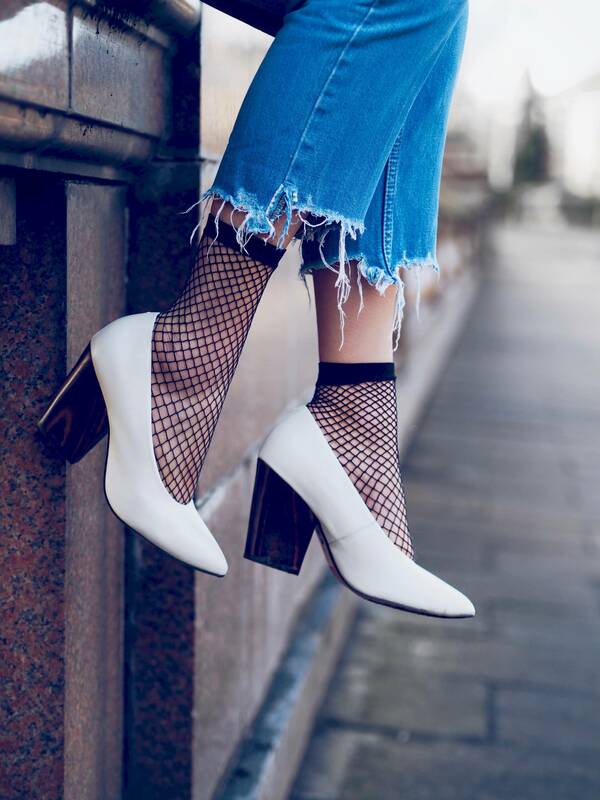 Fishnet tights and socks are officially back in trend, like we always say fashion is cyclical and this holey hosiery is having a bit of a moment. From runways and bloggers’ pick, it has become a favorite of any stylish person. They can be worn under Jeans, showing off someone’s waist on the perfect crop tee, showing through distressed jeans and even just worn with a shirt dress. We recommend this as a fun and stylish way to look different and trendy. Here are Five Ways to rock this trend before it finally fades away to reappear in another cycle. 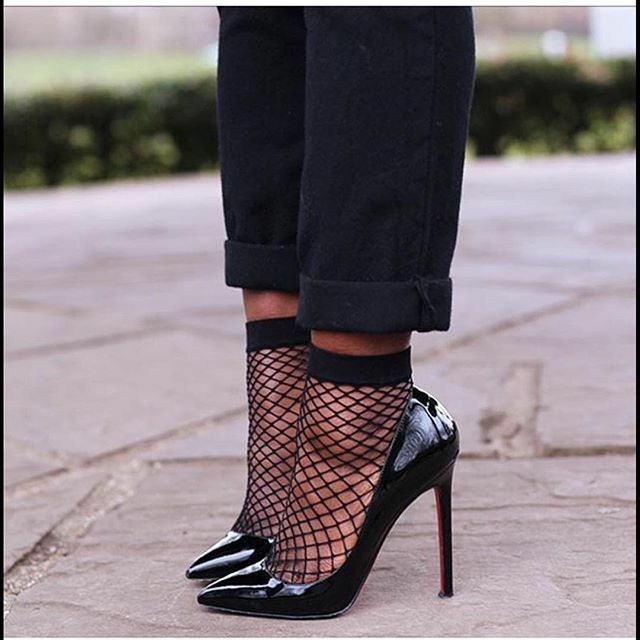 Wear the Fish net socks with sneakers, as funny as this sounds it’s the best bet from a regular cotton socks you put on with your sneakers, this makes you look more chic. Wear fish net socks with some cropped jeans, trust was when we say there’s no better way to make a statement than slaying in a cropped jeans. Remember those Nordstrom clear Jeans we spoke about, that might just be the perfect pair with fish net tights, rock your tights under some clear jeans or ripped jeans. We are still waiting for the Style Icon to pull off that look (now you have a tip on how to break the internet). Pair the fish net tights with ripped denim mini Skirt, how fab is that? You get the chance to show off those legs while while looking stunning. You know we always save the best for the last, there’s no better way to look like a million bucks than putting on some fish net socks with a pair of court heels and dressed to the nines in any outfit.